As we head down the final stretch remember to thrive! Reinforce your expectations, SOAR expectations, and guide students in the correct path. 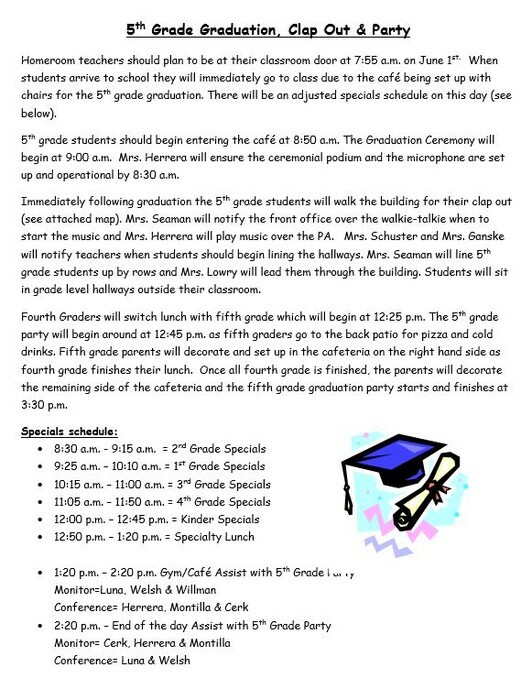 I have heard several students say they are excited about their end of the year celebration. 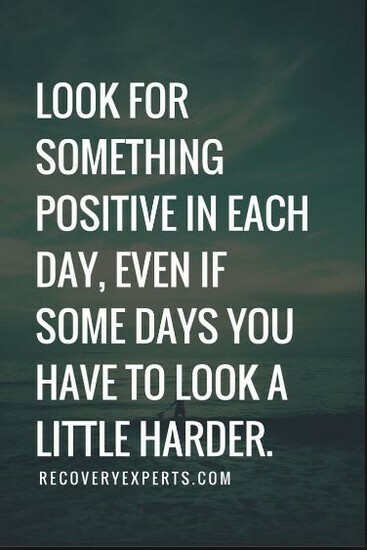 Remember to connect to your students and to keep your JOY sparked. Starting Monday through the end of the year, except your EOY celebration day, feel free to wear jeans if it brings you JOY. Why not EOY celebration day? I think that this is an important day for you as a teacher, but also for our students and families. You will be presenting and taking pictures-so let’s look nice. Thanks you for another successful week! Have a great weekend! The building will be open Saturday, May 21st and Saturday, May 28th. 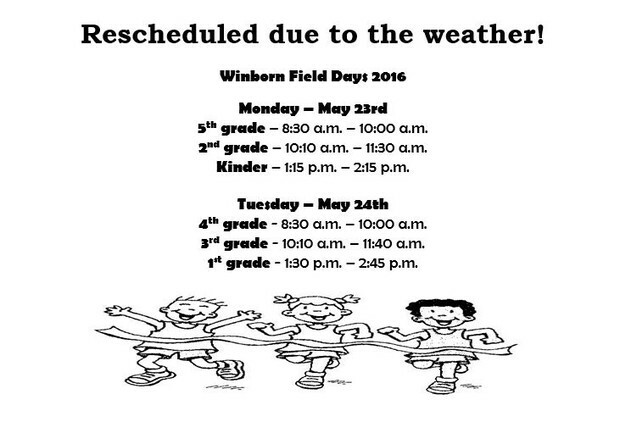 Monday, 5/30 - School Holiday! 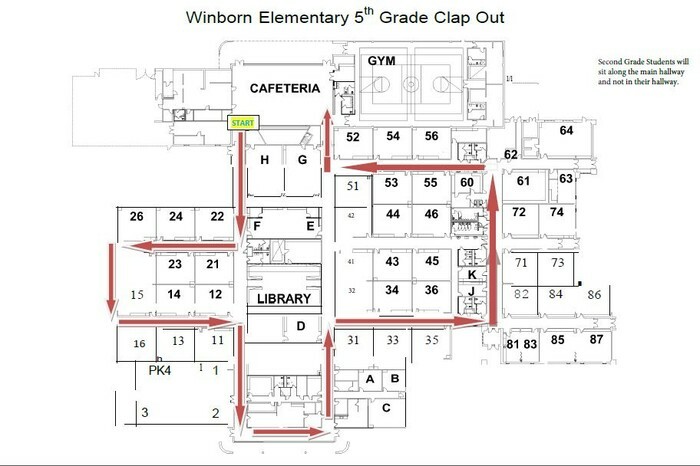 Below is the map for the 5th grade Clap Out and the Instructions for 5th Gr. Graduation. 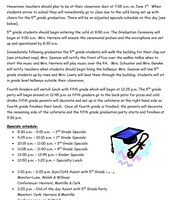 This information will be sent out by email the week of the event. Aimee Krauss for making all the sign up genius' for each grade level's end of year events as well as field day and other events throughout the school year. 4th grade for submitting the theme idea for next year. Susie Loyd for a successful round 2 of STAAR testing and all of the staff that stepped up to help our students be successful. Lori Irwin for being our TAC Coordinator this school year. Debbie Welsh for years of service as our Benefits Representative and Katy Improvement Council Representative. Kathy Moebes for serving as our Employee Roundtable Representative. Thank you to Terry Ganske for going above and beyond to help me organize, clean up, and keep track of Silent Art Auction money for Family Fine Arts Night! Thank you to Adriana Rangel for calling all of the Silent Art Auction winners to notify them of their bid win! Thank you to anyone who supported me with preparations for Family Fine Arts Night by setting up or hanging artwork and to anyone who stayed and participated during the night! If you are sending home information to your parents about the End of Year Celebrations, please let them know that we will begin each event in the classroom and then go to the playground area for a picnic. Parents can bring their child lunch or a lunch can be purchased from the cafeteria. We are encouraging parents to utilize our sign up genius for each event for a faster sign in process when arriving on campus. Each visitor must be prepared to present ID upon request as it is required for entry into the building. We will have separate check in areas set up for those that have pre-registered . We have been working on this process and hope to make it a process that will benefit our visitors for these special events. The sign up genius' are shown below. Thanks for sharing this information, if you are sending out information. The End of Year Check Out Sheets are coming! 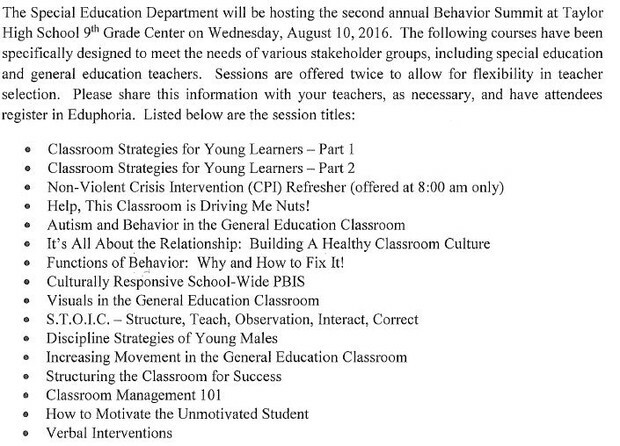 We have one for Professional staff and one for Paraprofessional staff members. Not all items on the professional list apply to paraprofessionals we hope that this makes it a simpler and faster process. Please do not obtain signatures prior to dates listed on the form and to please get signatures on your own form only, do not bring multiple forms or someone else's sheet for signatures. A quick reminder that we will need to clean out all refrigerators including freezers before leaving for the summer break! All items will need to be taken home by the end of the day on Friday, June 3rd. Anything left will be thrown away. However, please do not leave the clean up to our custodians. They have so much work to do over the summer getting our building ready for the upcoming school year that this is a task we don't want to add to their list. It has been mentioned that the lounge freezer is currently packed full and hard to get things in and out of. Please look in there and take home anything that is not needed.